NJ REaltors has been on this sector for 8 years, we have done lots of work abroad in other continents and now we feel it is about time to get into the ever so competitive Kolkata market in the year 2014. We're coming forth to deal in real estate for both land and furnished complexes and apartments. With our initial 50-acre project, we are set to make a difference and turn heads for a lot of major real estate giants in Kolkata. Before we further extend our business plans to another 100-acre investment, we would like to share our present endeavors with you. For now, our total area of land is 50 acres, which is open to a minimum purchase of 3 kottah of land per acquisition. 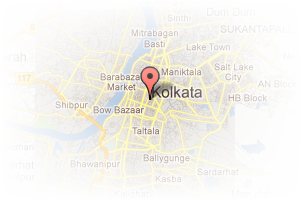 Address: Joka ,Dis 24parogana, Thakurpukur, Kolkata, West Bengal, India. This Broker Profile page for "Jana Properties" has been created by PropertyWala.com. 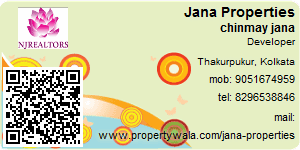 "Jana Properties" is not endorsed by or affiliated with PropertyWala.com. For questions regarding Broker Profiles on PropertyWala.com please contact us.